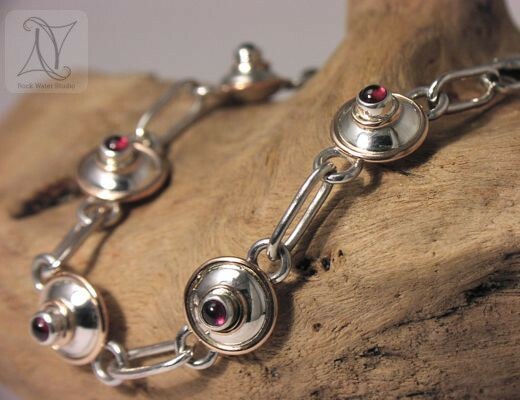 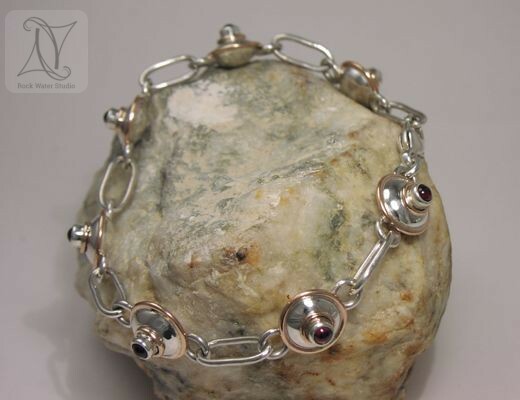 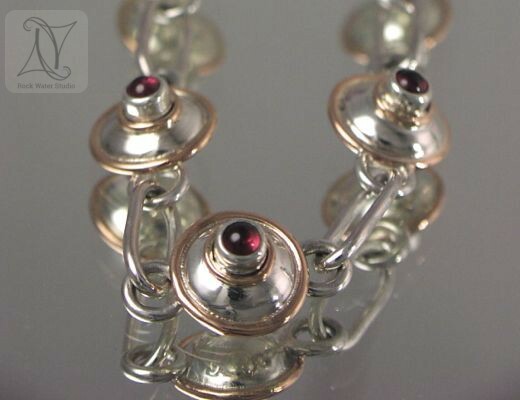 Handmade silver and rose gold bracelet with rhodolite garnets, chosen especially for his wife at Christmas. 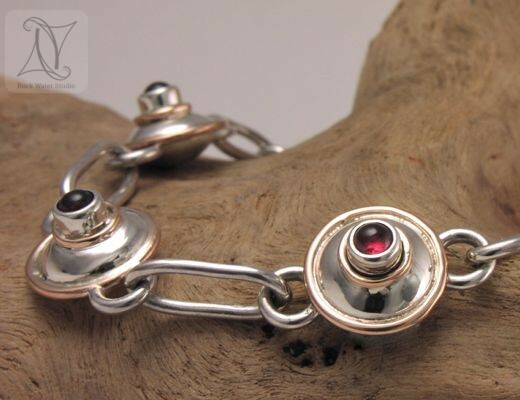 Curved surfaces move gently on the wrist making it a wonderfully wearable piece of jewellery. 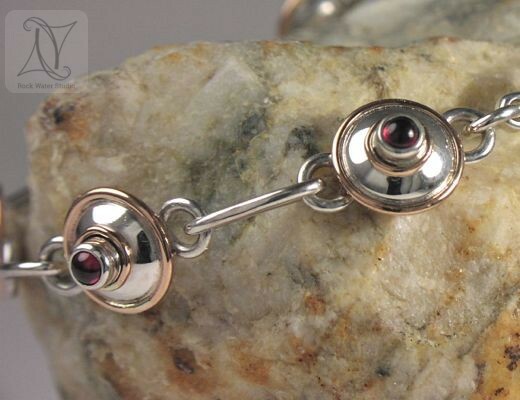 Many early explorers carried the garnet as a talisman and protective stone, as its brilliance was believed to light up the night and keep them safe from harm. 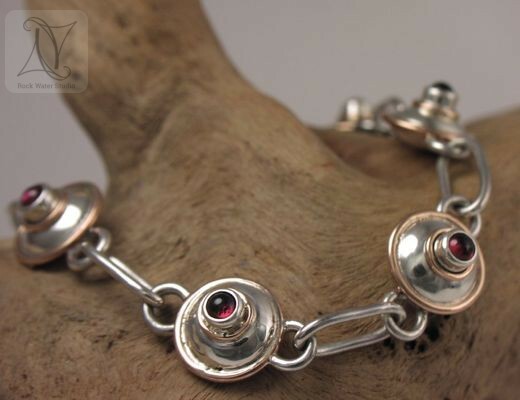 View the guide to custom made jewellery or get in touch to have something similar made just for you. 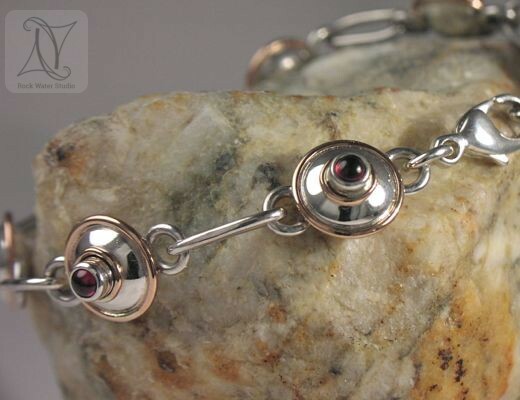 Why choose a compass gift?